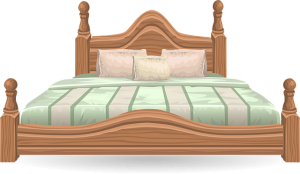 Posted on April 1, 2019 by Richard S.
It is almost impossible to move a heavy bed and mattress by yourself. Also, even if you do have help from your friends, you will need a guide to do it the right way. If you are not sure how to pack and move a king size mattress, we will show you how. Before you know it, you will pack it like a professional. After a long and exhausting moving day, the only thing that will relax you is your bed. If you are moving locally, it is not necessary to hire movers (if you have your own moving vehicle and know how to drive it). But, when moving overseas, or it is a long-distance move, a moving company Kuwait is required. It is not the same whether you are moving locally or not, but the packing process is the same. Equipment is essential for packing and moving, besides human help (king size mattresses are very heavy, so it is very difficult to lift and move them alone). If your friends do not have time to help you, it is not the end of the world. Professional packers in Kuwait may pack all your household items, not only your bed. Not only for mattresses but also for other household items. Before you start with disassembling your bed and start with packing, make sure you have all the material and equipment. A mattress box (if you have the original box). Moving blankets to cover the mattress. And now when you know want do you need, you may start working. 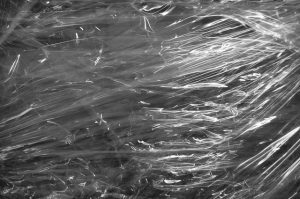 A plastic wrap will protect your mattress. When you need to move a king size latex mattress or a memory foam mattress the procedure is almost the same. The goal is to keep your mattress undamaged and clean when moving. With these tips, you will accomplish it. Pack and move a king size mattress like a pro and move in Kuwait with ease. When you understand the whole process of packing your mattress, you will see how simple it is. After you take your mattress from the bed, packing begins. If you are moving a bed and mattress by yourself, you will have more work to do. The bed is one of the first things you will unpack first after the move. But, to prepare the mattress properly and to unpack it easy, you will need to collect some packing material. When you pack and move a king size mattress, buy a mattress cover, it is not too expensive (about 10 dollars or even less). A plastic cover will protect the mattress from dirt and some damages. A cover should be slightly bigger than the mattress. Take off the mattress and move it separately from the bed. Put the plastic cover over the mattress. The easiest way is to stand the mattress on its side. First, cover the top, then the bottom of the mattress. Tape the plastic covers in order to secure it. This way it won’t move during transportation. Tape the corners and it will be enough. Remove all obstacles from your bedroom to the moving vehicle. Even if you are moving a mattress from one room to another, clean the path. If your friend has time and strength to help you, it is a perfect situation. By following these steps you will pack it perfectly and fast. One friend (plus you) will be enough for packing and moving the mattress. You should be standing at one side of the mattress and your friend should be on the other side. Together grab the mattress under the bottom corners to lift is easier. You can lift the mattress with your legs if it will make it easier for you and your friend. Without lifting the king size mattress with your legs too, all the weight is on your and your friend’s hand. Move slowly to your moving vehicle and put the mattress horizontally in a vehicle (if it is possible). 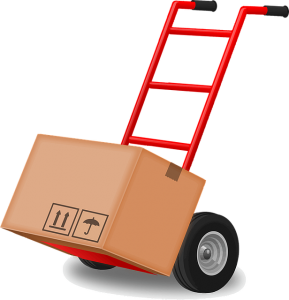 If you do not have a moving truck, you must put is vertically (upright on an edge), but secure it with straps. If you did not hire packing services and your friends cannot help you, you must pack your mattress alone. But is it not impossible. It is a little bit harder but with the right tips, you may do it. King size mattress is very heavy and big, so it will be easier if you fold it in half. When packing and moving the mattress by yourself, use a dolly to move it easily. With a dolly, move the mattress to your vehicle. Secure the mattress on the top of the vehicle (car or van). When you are moving items on your own, a dolly is a must. Even if you have packed your mattress and the rest of the items, you will need someone to transport it. Especially if you are relocating to Kuwait from abroad it is more difficult to move a king size bed and mattress and big furniture. You may ship your belongings before you move to Kuwait, so everything will be done when you arrive at your new home. Now when you know how to pack and move a king size mattress, and how to transport it, you can unpack it quickly right after moving and get a long sleep and relax. Moving a small mattress is also complicated but a little bit easier than king size beds and mattresses. Calculate the costs before moving. Is it worth to move a bed to another country and can it fit in your new place? When you calculate all the risks and costs, start with your moving and packing.